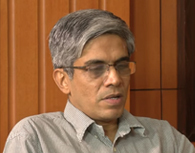 This is Nagarajan, BTCH-81, and now Dean of International & Alumni Relations at IIT Madras. My new resolution is to stay in touch with alumni through weekly messages posted on LinkedIn & Facebook, and this is the 3rd one. Hope you find these useful & informative…. There are nearly 7,000 members in this LinkedIn Group, but that still represents only 1/6th of our alumni population. So, if each of you forward these messages to 10 alumni friends, we may reach nearly all. On Friday and Saturday, the IIT Alumni Club had organized, as part of its PanIIT Lecture Series Program, three Events on campus and at IITM Research Park. On Friday morning, the “Innovation Challenge Finals” were held, followed by an “Industry Summit” in the afternoon, and a “Valedictory Function” on Saturday. The objective of PALS is to enable faculty and students of engineering colleges to interact with IIT faculty and alumni, and gain from their insights. In the context of the “Industry Summit”, I moderated an eminent panel consisting of Prof. MS Ananth, Ananth Krishan (TCS R & D; DA, IITD), B Santhanam (SGGI; DA, IITM), and Chad Das (ITC; IITK), and the topic was “Striking a Chord Between Principles & Practice: Alignment Between Industry & Academia”. Kris Gopalakrishnan delivered the keynote address at the valedictory. A distinguished visitor to the campus was Dr. Prakash Keshaviah (BTME-67), who delivered the “Leadership Lecture” on Friday on the topic of “From Campastimes to Himalayan Climes in Pursuit of Profession, Passion and Purpose”. 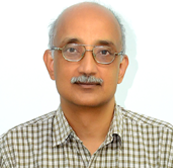 Dr. Keshaviah is currently Director, Nephrology Unit, Himalayan Institute Hospital Trust & Hon. Prof. Physiology, Dehradun, Uttaranchal. In his talk, he described his life’s journey from IIT Madras to the U.S. for research, culminating in a return to India to pursue honorary work at a charitable hospital. Given his interest in rural development and social entrepreneurship, he met with several concerned individuals during his visit to the campus, and was impressed by the diversity and depth of related initiatives @ IITM. He has expressed a wish to donate towards suitable projects at his alma mater. A delegation of 13 faculty members from various disciplines at University of New South Wales visited the campus on Friday and Saturday to interact with colleagues at IITM, and initiate meaningful research collaboration activities. Break-out sessions in parallel were scheduled in 4 departments, and at the conclusion of the visit, there was a clear consensus on moving relations forward in an expeditious manner. IITM faculty are expected to pay a return visit to UNSW during summer, and student exchanges are planned as well. On Saturday, Mallik Putcha, a Houston resident and alum of the ’64 batch, was in town to kick-off a fund-raising drive at the IIT Club for a Chair Professorship in honor of Prof. S Sampath, the first Deputy Director of IIT Madras. The target is to raise Rs. 2.5 crores towards the Chair, and all those with good memories of Prof. Sampath are invited to contribute through http://gjfund.iitm.ac.in, or http://www.iitmadras.org. Ph.D. and M.S. admissions for IITM are now underway. Visit http://www.iitm.ac.in for more details. The one-year-old “interdisciplinary Ph.D.” program is a particularly interesting option.